Bhopal: Chief Minister Shivraj Singh Chouhan told sugarcane producing farmers at Gadarwara in Narsinghpur district not to get disappointed as their local demands will be fulfilled very soon. 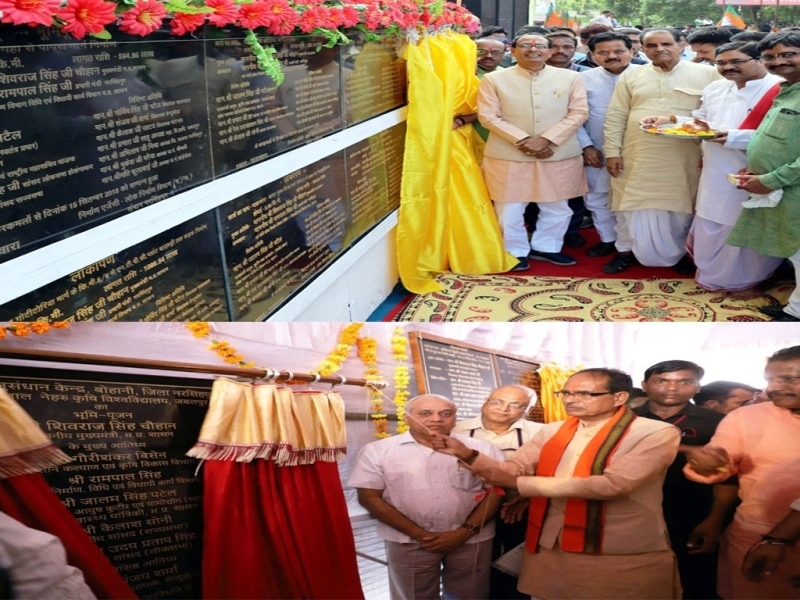 Chouhan performed bhoomi-pujan and dedicated 12 development works worth Rs 93 crore 30 lakhs in Gadarwara and 5 development and construction works worth Rs 36 crore 30 lakh in Tendukheda in Narsinghpur district. Chouhan said that farming is the spine of the state’s economy. The state government is ensuring the prosperity of the farmers at all levels. He informed that now farmers who own up to 5 acre agricultural land will get full benefits of various schemes under Sambal Yojana. Giving details of the state government’s schemes Chouhan called upon people to come forward rightfully to avail the benefits of various schemes.